A photograph of a massive motorway pile-up has won top prize in the Czech Press Photo competition for Reuters photographer David W Cerny. 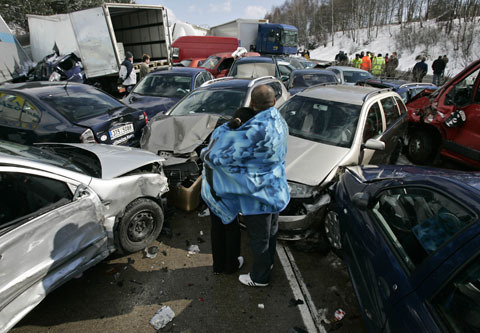 Classed as the Czech Republic?s biggest ever pile-up, the incident involved more than 100 cars and trucks. It took place on 20 March on the country?s D1 motorway. The photographer, 34, beat 4,352 other images to take the title. His winning image will form part of an exhibition at the Old Town Hall in Prague from 13 November.